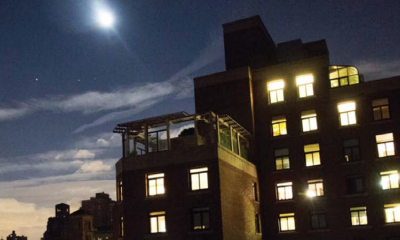 NYU’s cogeneration plant kept the lights on during Superstorm Sandy. Even during a disaster, New York City needs to stay live. Valuing the benefits of resiliency can help incentivize owners to make the right upgrades, Cecil Scheib, NYU's Assistant Vice President of Sustainability explains. For more on the relationship between finance, valuation, and building a more resilient New York, join is on October 18 for Weathering the Storm. The Career Fair is presented by EP and the Earth Institute at Columbia University for those seeking a job or internship in the sustainability field. At this year’s conference, experts will encourage attendees to think differently, and with a sharper pencil, about the intersection of finance and resilience. Panelists will explore proven rainwater and treated wastewater techniques—as well as share the NYC-specific barriers to scaling those techniques. Honoring Peter Riguardi of JLL. Mingle with professionals in green building over gourmet dinner and drinks at our biggest event of the year. Are you registered for the Sustainability Career Fair, presented by Urban Green's Emerging Professionals and the Earth Institute at Columbia University, on October 12? Present your skills to New York City's green leaders in architecture, engineering, real estate and interior design. Fifteen-minute portfolio and resume reviews will be offered at the event, so bring your materials with you! As New York City's population continues to grow—and our water supply stays somewhat limited—the search for additional methods of conservation has become top-of-mind. 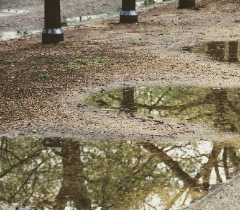 On October 24, join us for a discussion of harvested rainwater and treated wastewater techniques that could help NYC further advance its water conservation goals. Join AIA-NY as they share how architects, engineers, developers and others have applied the Zero Waste Design Guidelines to their own offices, challenging themselves to follow the path to zero waste. 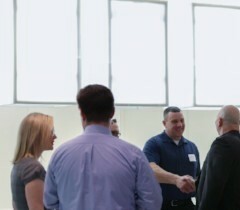 Attendees will also have the opportunity to schedule a free Zero Waste lunchtime learning session in their own office.